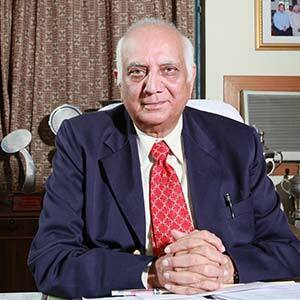 Director General, MIET, Lt Gen JM Garga (Retd. ), B.E., University of Roorkee, M.E. (Gold Medalist), HBTI Kanpur, is known for his clockwork precision in the work undertaken. He first got selected in IIT, Kharagpur, on merit in the year 1957 and then switched over to the University of Roorkee from where he graduated in the year 1960. He did his Post Graduation in M.E. (Process Design) in first position with distinction from Kanpur. His wide experience as an officer of repute in the armed forces along with other equally prestigious assignments thereafter has earned him accolades from all quarters that has given him an edge of an extra understanding befitting to his illustrative career that he has proved during leading many delegations to the countries like USA, France, Holland, Spain, England and others. Now, he is shaping the MIET Group into its glittering present state. He has contributed immensely in the area of academic excellence throughout the student fraternity by constantly motivating students to do better than the best.